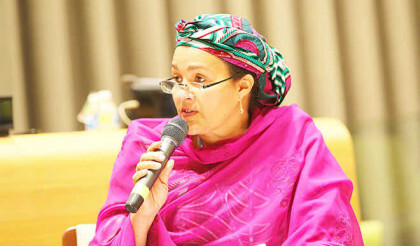 Following its approval by President Muhammadu Buhari on 26 November 2015 and subsequent submission to the United Nations framework convention to Climate Change, Nigeria’s Intended Nationally Determined Contributions was eventually reflected on the UNFCCC Site on Friday November 28 2015. Environment Minister Amina Mohammed said the objective of the plan is reduction from Business as usual. The Minister said the INDC’s key targets are ending gas flaring by 2030, Work towards off grid solar PV of 13 GW, efficient gas generators, two percent per year energy efficiency by 2030. It also aims at transport shift car to maps transit as well as climate smart Agriculture and reforestation. Including Nigeria, 183 Parties to UNFCCC have formally submitted their INDC’s . Countries have agreed that there will be no back tracking in these National Climate plans, meaning that the level of ambition to reduce emissions will increase over time.